Glossary of Kentucky Mortgage Terms.Adjustable-Rate Mortgage (ARM) – A loan with an interest rate that changes with market conditions on predetermined dates. Annual Percentage Rate (APR) – A term used to represent the percentage relationship of the total finance charge to the amount of the loan, over the term of the loan. Do not confuse the APR with your quoted interest rate, which is used to determine your monthly principal and interest payment. The APR reflects the cost of your mortgage loan as a yearly rate. It will be higher than the interest rate stated on the note because it includes (in addition to the interest rate) loan discount points, fees and mortgage insurance. See Note. Capital Gains – Used for tax purposes, this is the capital gain you make when you sell your home. For example if you purchase a property for $100,000 and sell it some years later for $150,000 your capital gain is $50,000. Closing – The final step after a lender approves an application. The homebuyer and lender sign the required loan documents, including the security-agreement note for the mortgage loan, which states all the terms and conditions of the loan, and the funds for the loan are turned over to the homebuyer’s closing agent. Closing Costs – The costs paid by the mortgage borrower (and sometimes the seller) in addition to the purchase price of the property. These include the lender’s fees, title fees and appraisal costs. Commission – Compensation for negotiating a real estate or loan transaction, often expressed as a percentage of the selling price or loan amount. Commitment Letter – A binding, written pledge, by the lender to a mortgage applicant, to make a loan, usually under certain stated conditions. Comparable Market Analysis (CMA) – A written analysis of houses having similar characteristics currently being presented for sale as well as comparable houses sold in the past six months. This enables you to determine if you are paying market value for a home and to identify whether market prices are rising or falling. Conventional Loan – A mortgage that is not insured or guaranteed by a government agency such as FHA, VA or Farmers Home Administration. Credit Report – A report issued by an independent agency which contains certain information concerning a mortgage applicant’s credit history and current credit standing. Credit Score – A numerical rating developed and maintained by Fair Issac and Company that indicates a borrower’s creditworthiness based on a number of criteria. Debt-to-Income Ratio – A formula that compares a mortgage applicant’s gross income to his/her total debt. The lender uses this to help determine the loan amount for which you may qualify. Also known as the “back-end ratio.” Guidelines may vary, depending on the loan program. Down Payment – A portion of the sales price paid to the seller by the homebuyer to close the sales transaction. Also, the difference between the sales price and the home mortgage amount. Down Payment Assistance Programs (DAPs) – Gift funds presented to qualified homebuyers to be used toward down payments and closing costs. These programs are often administered by local non-profit foundations. Equity – Your ownership interest, or that portion of the value of the property that exceeds the current amount of your home loan. For example, if the property is worth $100,000 and the loan is for $75,000, then you have $25,000, or 25%, equity in your home. Escrow Account – A holding account for the amount a mortgage borrower pays each month and which the lender uses to pay for the borrower’s taxes, other periodic debts against the property, homeowner’s insurance and, if applicable, mortgage insurance. Float the Rate – This term is used when a mortgage applicant chooses not to secure a rate lock, but instead allows the interest rate to fluctuate until the applicant decides to lock in, usually no later than five days prior to closing. Front-end Ratio – Also known as the housing expense-to-income ratio, it compares your proposed monthly house payment (PITI) to your total household gross monthly income. Good Faith Estimate – A document that tells mortgage borrowers the approximate costs they will pay at or before closing, based on common practice in the locality. Government Loan – A mortgage available through a government agency, such as FHA, VA, Farmers Home Administration or a state bond program. The loans are generally made by private lenders. Homeowner’s Insurance (also called Hazard Insurance) – A real estate insurance policy required of the buyer protecting the property against loss caused by fire, some natural causes, vandalism, etc. May also include added coverage such as personal liability and theft away from the home. House Inspection – A thorough evaluation and written report of a home’s condition both inside and out. The inspection is valuable in locating any problems in a property and helps you determine the extent of renovation needed. You can use the report to have the seller make repairs or reduce the purchase price. Always use your own inspector, and do not rely solely on the seller’s inspection reports. Index – Interest rate adjustments on adjustable-rate mortgage (ARM) loans are based on a specific “index” or treasury issue (bond) which is selected because it is a reliable, familiar financial indicator. Your monthly interest rate payment will be adjusted up or down in relation to this market indicator, plus the margin as specified in your note. See Margin and Note. Interest Rate – A percentage of the mortgage amount that is paid to the lender for the use of the money and is used to calculate the monthly principal and interest payment. Loan Conditions – These are terms under which the lender agrees to make the loan. They include the interest rate, length of loan agreement and any requirements the borrower must meet prior to closing. Loan Payment Reserves – A requirement of many loan programs that, in addition to funds for the down payment and other purchase-related costs, you have saved enough money to cover one or two months of mortgage payments after your closing. Margin – The number of percentage points added to the index to calculate the interest rate for an adjustable-rate mortgage (ARM) at each adjustment period. Mortgage Insurance (MI) – An insurance policy which will repay a portion of the loan if the borrower does not make payments as agreed upon in the note. Mortgage insurance may be required in cases where the borrower makes less than a 20% down payment on the home’s purchase price. Origination Fee – The amount collected by the lender for making a loan. It is generally equal to a percentage of the principal amount borrowed. Points – One point equals 1% of the loan amount. Total points on a loan include origination points, used to offset the cost of making a loan, and discount points, which can be paid to reduce the loan’s interest rate. Preapproval – A written letter from a lender, subject to a property appraisal and other stated conditions, that lets you know exactly how much home you can purchase. Prepaids – That portion of your loan closing costs which must be collected at closing to cover taxes, interest and insurance. Private Mortgage Insurance (PMI) – A mortgage insurance policy on a conventional mortgage loan issued by a private insurance company. Rate Cap – The limit of how much the interest rate may change on an ARM at each interest rate adjustment and over the life of the loan. Title Insurance – An insurance policy that protects a lender and/or homebuyer (only if homebuyer purchases a separate policy, called owner’s coverage) against any loss resulting from a title error or dispute. Truth-in-Lending Statement – Required by federal regulations, this statement tells purchasers the interest rate on the loan, the costs of financing their loan expressed as the annual percentage rate (APR), and payment amount, etc. Underwriting – The process of a lender reviewing the application, documentation and property prior to rendering a loan decision. Acceptance: The seller agrees to the terms of the offer made by the buyer. Adjustable-Rate Loan: The interest rate on this loan will start out fixed for a specific period of time, then change on a regular schedule. The payment will not remain the same during the life of the loan. Affidavits: Sworn statements, in writing, that confirm certain information is true and correct. Amortization: This is paying back your loan with regular payments over a fixed period of time. Annual Percentage Rate (APR): The cost of borrowing money expressed as a yearly (annual) rate. It includes the interest, points and other fees charged by the lender. This rate will be different than your interest rate. Your loan payments will not be based on this rate but rather on the interest rate that was locked in by your lender. Appraisal: An estimate of how much a home is worth. This is completed by a licensed individual and compares the home you are trying to buy with other homes in the area. The lender has the right to adjust the value given by the appraisal if necessary. Appreciation: An increase in the value of a house due to changes in market conditions, home improvement or other factors. Asset: Anything an individual owns that has commercial or exchange value. Attorney: Attorneys are educated in and licensed to practice law. In a real estate transaction, an attorney can review your paperwork to make sure it is filled out correctly, let you know what is likely to happen if you sign it and what it would take to not go through with buying the home. Arbitration: The hearing and determining of a dispute or the settling of differences between parties by a person or persons chosen or agreed to by them. Assessed Value: The value placed on a house by a public tax assessor for the purpose of determining property taxes. Auctions: A public sale where the home is sold to the highest bidder. This usually takes place at the home and everyone present has a chance to make a purchase offer. Auction property sales typically require the winning bidder to put ten percent down the day of the auction. Balloon-Payment Loan: A loan with fixed payments that requires the loan be paid in full at the end of a set period of time. This type of loan will require the loan balance to be paid in full at the end of the set time period and can be paid using your own money or by refinancing the loan into a new fixed-rate loan. Bank: A depository institution that offers checking accounts, savings accounts, loans, and investments. Bi-Weekly Mortgage: The borrower makes half of their monthly mortgage payment every two weeks. By doing so, a 30 year loan is paid off in approximately 22 years. Borrower: The person who obtains a mortgage loan. Building Permit: A written permit that must be purchased from the local government by anyone doing remodeling or rehabilitation work on a property. Buyer’s Agent: A real estate professional who enters into a contract-of-agency relationship with the buyer and typically gets paid by splitting the sales commission with the listing (seller’s) agent. Cash-Out Refinance: When an owner refinances a loan and takes some equity out as cash. Chain of Title: A history of all conveyances and encumbrances affecting the title of a home, either since it was built or as far back as records are available. Chapter 13 Bankruptcy: A form of bankruptcy that allows the debtor to restructure debts to use future income to pay off creditors. Clear Title: Title that is free of liens and legal questions about the ownership of the property. A lien is a legal right to claim a piece of the property. Close The Loan: The final step in the home buying process. This is when all the closing documents are signed, funds are distributed to the seller and title to the property is delivered to the buyer. Closing: The final steps in the transfer of property ownership; usually occurs at a formal meeting between the buyer, seller, settlement agent and, possibly, real estate agents and attorneys.Collateral: Property accepted as security for a loan; one of the “4 C’s of credit” that measures the value and condition of the house to make sure it is worth at least as much as the loan. Contingencies/Contingent: Conditions included in an offer to buy a home. A clause in a contract that outlines an event, which may or may not occur, but that must occur before the contract becomes binding. Contract For Deed: A type of seller financing where the buyer makes the down payment and monthly payments to the seller, but the buyer doesn’t own the property. The buyer will own the property once the loan is fully repaid or the property is refinanced into the buyer’s name. Contractor: An individual hired to build, remodel or rehabilitate a property. Conventional Loan: A mortgage loan that is made by a for-profit lender and is not insured by the federal government. Cooperative (Co-op): A “group” ownership development. All homeowners own both their homes and the common areas of the development. Co-ops may have rules you must follow in order to change or sell your property. Make sure you know what you can and can’t do before you buy a home in a co-op development. Counteroffer: A response made by the seller that changes some of the terms of the offer made by the buyer. Credit Counseling: Advice given by professional counselors to inform people about how to use credit responsibly and how to get out of debt. Credit History: A record kept by the credit reporting agencies of how a borrower has repaid loans. One of the “4 C’s of Credit” that measures an applicant’s likeliness to repay a home loan based on how previous debts have been handled.Credit Report: A record of how a consumer has repaid credit in the past, used as a guide to determine a potential homebuyer’s creditworthiness. Credit Score: A numerical value based on the analysis of a credit report that is used by creditors to predict how likely an individual is to repay a loan. Credit Union: A financial institution that offers checking accounts, savings accounts and loans to its members. You must be a member of the credit union in order to use its services. Cul-de-sac Location: A dead-end street usually in a residential area. Deed-In-Lieu: An agreement where a delinquent borrower gives the lender the deed and the keys and moves out of the property in exchange for forgiveness of the loan. Also called deed-in-lieu of foreclosure. Default: Failure to meet financial obligations, which may result in the lender foreclosing on the loan. Detached Single-Family Home: This type of home is a built for one family and is not attached to any other homes. It is surrounded by free standing walls and located on its own property. Dual Agent: A dual agent represents both the buyer and the seller during the real estate transaction. This agent may be paid by either the buyer or the seller. Make sure you know who will be paying the agent’s fee. Duplex: A duplex consists of two homes attached in the middle by a wall shared by both homes. Two homes in one structure either side-by-side or one on top of the other. Earnest Money: A deposit toward the purchase of a home made by a buyer to show he or she is serious about buying the property. Encroachment: A building, driveway, fence or other structure that extends over a legal property line or beyond the buildable space of the lot. Equity: The difference between how much your home is worth and how much you owe on your loan. For example, if your home is worth $130,000 and you owe the bank $96,000, your “equity” is $34,000. Escrow: The period between the date the purchase contract is signed and the date of the loan closing. Escrow Account: A special account that money is put into each month to be set aside for payment of such items as property taxes and insurance when they come due. The money put into the account is collected each month and included as part of your mortgage payment. Escrow Analysis: A statement that shows the activity that will likely occur over the next 12 months with the borrower’s escrow account. It reflects deposits given and payments made throughout the year. Escrow Officer: A third party who holds the original purchase contract, the deed and other documents; holds any earnest money or other funds in trust until all conditions of the sale have been met. Fair Market Value: The price a willing buyer will pay and a willing seller will accept for real property. Fees: Expenses that the lender is charged in order to get your loan approved. Each lender will have a different amount of fees it will charge. Obtain an estimate of all fees that it will charge and ask if any of the fees can be refunded if the loan doesn’t go through. FHA Loan: Stands for “Federal Housing Administration.” An FHA loan is a type of mortgage loan that is insured by a department of the federal government. This type of loan offers low down payment requirements, but also has income requirements to qualify. First Mortgage: A home loan that has priority over the claims of subsequent lenders for the same property in the event of default. Fixed-Rate Loan: The interest rate will stay the same during the life of the loan. The principal and interest portion of your payment will stay the same, but the payment could increase if the tax or homeowner’s insurance costs go up. Fixer Upper: A home sold at a discount that requires repairs to make its value comparable to other homes in the area. Many fixer upper homes require a lot of time and money to fix up. Make sure money is available to do the desired work after the home is purchased. Flood Insurance: This type of insurance is not required for all properties. It is typically required for a home if it is located in a flood zone. Many people think that if they have hazard insurance then they are covered in the event that their house floods, but this is not true with all insurance policies. Make sure you check your insurance policy coverage so you know what is covered. For Sale By Owner: A home for sale without a real estate agent representing the seller. Before signing a contract with this type of sale, it is a good idea to have an attorney look at it to make sure you are not getting into a contract that you will regret. Owners typically sell property themselves to save the commission fee that would have been paid to the real estate agent. Forbearance: An agreement by the lender to allow a delinquent borrower to skip one or more payments completely and make them up later through a payment plan. Foreclosed Homes: These are homes that were taken back from the buyer to be sold to satisfy the debt when the buyer fails to pay the mortgage payments. Many of these homes can be bought below what they are worth because the lender wants to get rid of them. Foreclosure: A legal proceeding in which your home is usually sold by the lender and the money from the sale pays all or part of the amount that you still owe the bank. Fourplex: This is four homes attached together on one piece of property. Good Faith Estimate (GFE): A statement that lists all of the possible fees that would have to be paid to get a loan. This document must also be given to you within three days after you give your lender a contract on a home. Graduated Payment Loan: A loan that starts out with lower payments that increase gradually over a period of time and then stay fixed for the rest of the loan. This type of loan could be used for a borrower that is expecting yearly pay increases, but is more risky than a fixed-rate loan. Hazard Insurance: Also known as homeowner’s insurance. This type of insurance protects the owner if something happens to the property that was covered by the insurance policy. Typically, a hazard insurance policy covers the home in the event of fire damage. Home Equity Line Of Credit: A type of home equity loan that allows the homeowner to access the loan money with checks or a credit card as needed. Home Equity Loan: A loan secured by a mortgage lien that allows a homeowner to borrow against equity in their house to pay for repairs or other home improvements, refinance debt or to use for other purposes. Home Improvement: Changes to a house that increase its value, such as modernizing a kitchen or adding a second bathroom to a three-bedroom home. Home Inspection: A detailed review of the property done by someone other than the buyer or seller. The home inspection covers many parts of the home, such as structural, electrical wiring, plumbing, heating, and air conditioning to reveal repair or safety issue. Home Warranty: A guarantee on a home for things such as materials, construction, and the main equipment such as the heating and air conditioning system. Homeowners Association: A group of homeowners within a defined community, neighborhood or complex who make decisions, pay to maintain and repair land and common areas and/or enforce community rules and covenants. Housing Counselor: A trained professional who provides homebuyer education, credit counseling or both. HUD-1 Settlement Statement: The final statement at the closing that lists all of the fees and costs that were involved with the purchase and sale of the property. The statement also lists who is paying each fee. Insurance: There are many types of insurance when learning about mortgage loans. They include homeowner’s insurance, which covers your home if a fire occurs; mortgage insurance, which is required by most lenders if you don’t make a 20 percent down payment; and title insurance, which covers the mortgage loan should any questions arise concerning the buyer’s ownership of the property. Insurance Agent: They offer many types of insurance. Types include: car, health, life and hazard insurance (also known as homeowner’s insurance). Insurance agents can quote the cost to insure the home you want to buy. It is a good idea to shop around because different insurance companies offer different services and the cost of the homeowner’s insurance can vary. Interest: An amount the bank or other lender charges you to borrow money. It is usually a percentage of the amount that you borrow. You will hear people talk about getting a “five percent loan” or “seven percent loan” or some other amount. This means the lender is charging them five or seven percent interest to borrow money. You pay interest on what you have borrowed each month when you make your mortgage payment. Interest Rate: This is the rate you pay for borrowing money. The lower the rate, the lower your payment will be. Interest rates vary from lender to lender, so shop around for the best rate. Land Lease: The homeowner owns the home but doesn’t own the land it sits on. The homeowner must pay a monthly fee (lease payment) to keep his or her home on the land. The terms of a lease vary, but commonly they are for 60 or 90 years. Lender: A person or entity who loans money to home buyers. Banks, savings and loans, credit unions, mortgage companies, governments agencies or private individuals are all examples of lenders. Liability Insurance: This insurance coverage covers people, other than the owner, in case they are injured or hurt while on the homeowner’s property. Listing Agent: This type of real estate agent has a contract with the seller of the property for sale. He or she advertises the property for sale and represents the seller during the loan process. Loan Modification: An agreement between a lender and a delinquent borrower that changes the terms of the loan. Loan Processor: The person who prepares the loan file to be sent to the lender. His or her work includes ordering inspections and organizing the paperwork. Loan Product: The various terms and rates that encompass and define a loan. The amount of time a borrower has to pay off a loan. Lock-In: This sets your rate to protect you if rates increase. Ask your lender if there is a fee to lock in your rate. Manufactured Home: A home made in a factory. It can be made as one piece or several pieces. The home is taken to the home site using a truck and the home has wheels under it when it arrives. The home is bolted together if it contains two or more pieces. Under the home, supports are used to hold the house up and to give it the support it needs. Supports can be concrete blocks or poles and they attach to the steel located below the floor. Modular Home: A factory-built home that is similar to a manufactured home but does not have wheels or supports, metal or poles underneath. It is more similar to a home that is built on-site than a manufactured home. Mortgage: A security agreement between the lender and the buyer in which the property is collateral for the loan. If the buyer doesn’t pay back the loan, the lender has the right to take possession of the property. Mortgage Broker: An individual or company that, for a fee, matches a homebuyer with a home lender. Mortgage Insurance: Insurance that is payable by the buyer to the lender if 20 percent of the purchase price is not made as a down payment on the loan. It protects the lender, not the buyer, if the buyer doesn’t make payments on time. Mortgage Life Insurance: An optional form of life insurance that pays off the mortgage if the borrower dies. Mortgage Loan Application: Forms that are filled out when applying for a loan. It contains questions about the buyer’s income, assets, debts and the property he or she would like to buy. Mortgage Note: The note is a legal paper that requires the borrower to repay a loan at a listed interest rate and period of time. Negative Amortization: Payment terms under which the borrower’s monthly payments do not cover the interest due causing the loan balance to increase. Offer: A proposal made by the buyer to the seller of a property to enter into an agreement to purchase the property. Open House: The seller of a property decides to invite people into his or her home to see the house and to talk about it. This is usually done on the weekends and is for a set period of time. This is your chance to see the inside and outside of a home before you make an offer on it. P-I-T-I: The four different parts of most mortgage loan payments. The payment is made up of principal, interest, taxes and insurance (PITI). Partial Claim: When the mortgage insurance company lends a borrower money to bring a loan current by making a second mortgage on the property. Payment Plan: An agreement with a lender in which a borrower promises to make up any missed payments by sending one full payment and one partial payment each month until delinquent mortgage payments are caught up. Planned Unit Development (PUD): Each homeowner owns his or her home and the land it sits on. Each homeowner must pay a monthly or yearly fee in order to take care of the areas shared by all homeowners, usually through a homeowners association. Points: Equals 1 percent of a loan amount. Points are paid up front in order to get a lower interest rate. The more points you pay, the lower your rate and payment will be. Consider all of your options before paying points on a loan. Pre-approval: An approval statement that includes an assurance that the buyer can get a loan up to a specified amount from the lender. The lender uses the buyer’s pay stubs, bank information and other information in order to give the approval, but the property has not been looked at by the lender. Preforeclosure Sale: When the lender agrees to allow a delinquent borrower to sell the house to avoid foreclosure. Prepaid Costs: Costs paid before they are due, usually to set up the escrow account. These costs are paid at the closing and are included in the HUD-1 settlement statement. Prepaid interest is one example of a prepaid cost. Predatory Lending: Loan made by combining certain products, practices and prices that are unfair to the borrower. Premiums: The sum of money that must be paid in order to keep a property’s insurance agency. Prepayment: Paying your loan off before all the payments are scheduled to be due. When you do this, you will own the home free and clear. Usually there is not prepayment penalty, but ask your lender before you sign your loan papers. Prepayment Penalty: A fee charged on some loans to a borrower who pays off a loan before it is due. 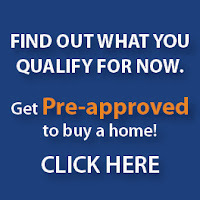 Prequalification: The process lenders use to determine how much a potential buyer could borrow to purchase a home. It is based on unverified information, such as employment status, income and debt. Prequalification Worksheet: Form used to enter income and debt payments; calculates how much of a house payment the buyer could afford. Prequalified: The lender has determined that the borrower can afford to go to the next step in the loan process. The borrower is given a letter that indicates the price range of the homes for which he or she could qualify. Principal: When you borrow money from a bank or other lender, the amount of money you borrow is called the loan “principal.” You repay a portion of the principal each month when you make your mortgage payment. Property Tax: A tax charged by the local government and used to fund a variety of municlpal services, such as schools, police or street maintenance. Purchase Contract: A binding legal agreement detailing the sale of a property that is signed by both the buyer and seller. Purchase Offer: A proposal to the seller of a house from a would-be buyer offering a stated amount for the house; often includes certain conditions that must be met. Real Estate Agent: A licensed real estate professional who assists with the buying and selling of homes. Real estate agents can work for a buyer or a seller. When you are ready to purchase a home, it is a good idea to consider finding a real estate agent to assist you with locating properties that meet your needs. They are paid a fee, but the fee is usually paid by the seller. Make sure you know who will be paying the agent’s fee before you sign any loan papers. Recording and Transfer Charges: Charges that must be paid for the recording of the mortgage and the transfer of the deed. Rejection: The seller turns down the offer. Remodeling: To rebuild and improve a house, often changing the house’s layout or adding rooms. Replacement Cost: Coverage in a homeowner insurance policy that pays to restore the house to its original condition if it is damaged. It can also replace items that are lost. Check your policy about this kind of coverage and make sure you understand what will be covered. Reserves: Money set aside for emergencies or repairs. Reverse Mortgage: A type of home loan in which a homeowner 62 years old or older can convert the equity in the home into cash. Second Mortgage: A home loan that has rights subordinate to the rights of the first mortgage – in other words, it is repaid after the first mortgage in case of foreclosure. Secondary Market: This is one area from which lenders get money to loan to homebuyers. Investors purchase mortgage loans already owned by the lenders, giving the lender more money to loan out. Sole and Separate: Only one person owns the property – either a single man or woman, or a married man or woman who does not share title with his or her spouse. Specifications: A detailed description of the size, shape, materials and other details of a building or remodeling project. Subprime Loan: A type of loan that serves borrowers who cannot get credit in the prime market. These borrowers usually pay higher interest rates when getting a mortgage loan. Survey: The most common type of survey is a land survey, which determines the legal boundaries of the property. Surveyor: A licensed professional who identifies the measurements of a property and the land around it. Surveys are not always required to buy a home. Check with your lender to see if a survey is required. If you are not certain of the property lines for the home you are buying, a survey is recommended. Tenancy in Common: Two or more people own the same property. They may not have equal ownership in the property. If they want to sell, they can sell the part (percentage) of the property they own. Title Abstract: The searching of information on a specific property for a given period of time. Title Insurance: Insurance to protect the lender (lender’s policy) or the buyer (owner’s policy) against loss arising from disputes over ownership of a property. Title Insurance Officer: These individuals research the past owners of the home and make sure those owners sold their interests in the property previously. They also make sure the seller who is selling you the home has the legal right to sell it to you. Townhouse: Consists of three or more single family homes attached by the side walls. The side wall is equally shared and owned by each owner that is attached to it. Triplex: This is a three home property with all units attached together. Truth-In-Lending (TIL) Statement: A statement that tells how much you are borrowing and the cost to do so. Federal law requires that this document must be given to you within three days after you give your lender a contract on a home. Underwriter: Works for the lender, reviews loan applications and decides whether to approve them. VA Loan: This is a loan program available to veterans of the U.S. armed forces. This type of loan requires no down payment and has lower closing costs. Wraparound Mortgage: A loan in which the seller finances the buyer’s new mortgage and the seller keeps the original loan that is owed to the lender.